Join Adams Vineyards to celebrate our 10th and final year! Our Fall Festival is happening this Saturday, September 8th from 12-4 pm. 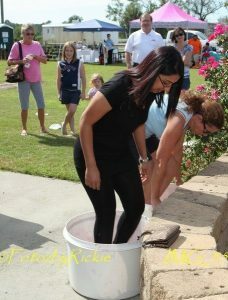 Grape stomping competitions will be held throughout the afternoon and there will be music, food, wine tastings and a bouncy house for the kids. Admission is free and open to the public. Stomp raffle tickets, wine tastings and food will be an extra charge. See our website or the Adams Vineyards Grape Stomp Festival Facebook page for more information.